Delightful country house on the Umbrian hills, recently renovated and split into 6 apartments, one is the owner's private home. Typical country décor. 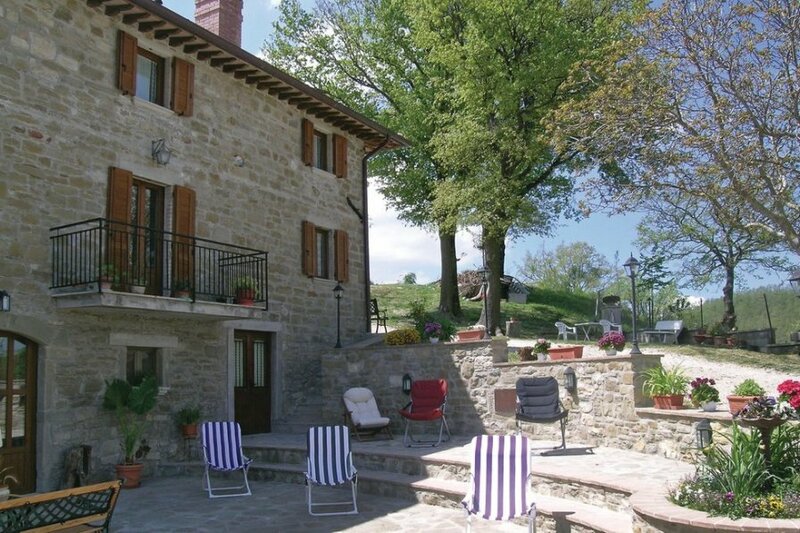 Delightful country house on the Umbrian hills, recently renovated and split into 6 apartments, one is the owner's private home. Typical country décor. The property comprises of a natural plot and a barbecue.Mountain bike rental. Upon request: baby bed, taxi service from/to the railway station or airport. Cooking classes. IUP179/180: ground floor. IUP181: 2nd floor. This apartment is made from brick or stone and was originally built in 1900 and refurbished in 2007. The agent has rated it as a three star property so it is a well-kept apartment, equipped with standard furniture. It is also good value for money. This apartment has use of a shared pool and view over the landscape; it is also located in Assisi, 33km from Perugia. It is set in a good location: there is a restaurant 2.5km away.